The Warrior Transition Battalion (WTB) serves the wounded members of the U.S. Army. When a soldier is disabled or becomes very ill, the WTB is a provisional home base where he or she can take time to heal and transition back into service when possible. The WTB, although supportive, can have a bit of a bleak cast over its members at Christmastime, as custom traditions and festivities are displaced by medical treatments and perhaps upcoming retirement from the military. Making things seem normal or special for their families can seem unimaginable. It’s for this reason that Freedom Alliance makes an annual end-of-year trip to the Fort Riley WTB in Kansas. According to the WTB events director, most of the soldiers here are dealing with traumatic brain injuries, mental illnesses, and even terminal illnesses—greatly in need of an opportunity to forget their cares and enjoy the holiday with their families. 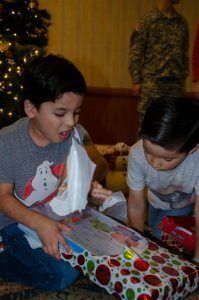 A local family, which was invited on a Freedom Alliance Heroes Vacation and participated in our Presents for Patriots program last year, asked to help out with the Christmas party for the Fort Riley WTB. 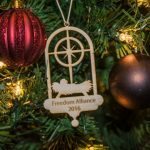 With a desire to give to other military folks in need, this family opened their home to Freedom Alliance staff and made extensive preparations for the party. 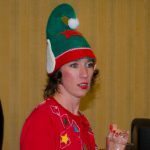 On the day of the party, the Freedom Alliance team showed up at Fort Riley—dressed as elves!—with Christmas gifts in tow. 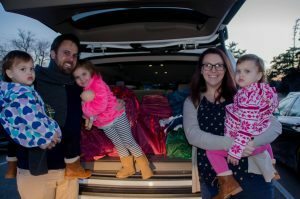 One of our Presents for Patriots sponsors, Travis Ratliff, representing Operation Barnabas was prepared to deliver Christmas packages for three families attending the party. 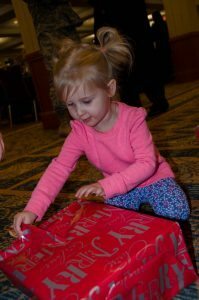 Another organization sponsoring a Presents for Patriots recipient was the Blessed Sacrament Girl Scouts, and they were on site as well with gifts for their family’s little girls. 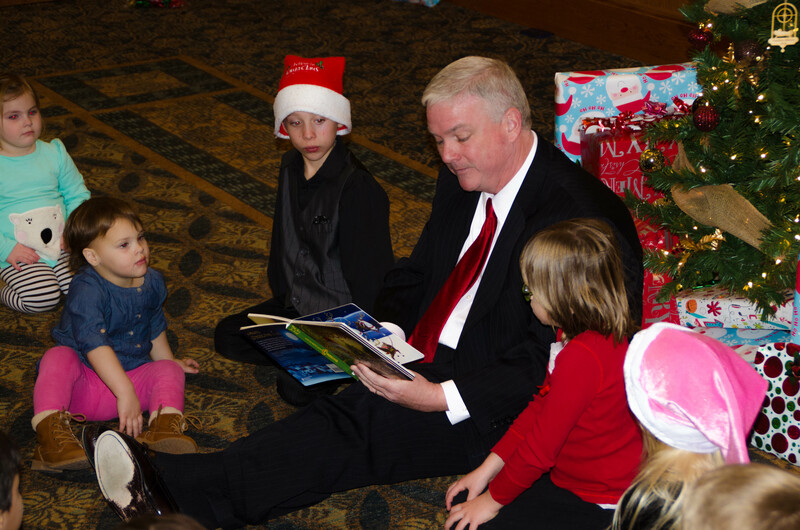 Freedom Alliance president Tom Kilgannon read “’Twas the Night Before Christmas” to all the children who gathered around the Christmas tree. Then the elves picked up presents one by one, calling the names on the tags. 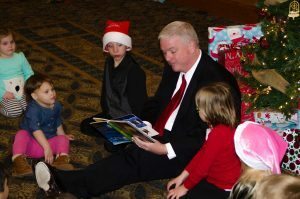 The thrill was contagious as each child and teen opened a gift picked especially for him or her. For the parents, there was a raffle, which included prizes such as Kitchen Aid appliances, Keurigs, flying drones, cameras, and gift cards. Remarkably, there was a gift for everyone! One soldier who won a Kitchen Aid mixer was amazed because he’d wanted to buy one for his wife for many years. One family in attendance belonged to Demetrius, who deployed twice for combat with the army. Two weeks before his second deployment, doctors found a brain tumor. 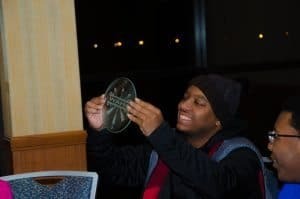 This discovery led to several surgeries, and Demetrius was without a cranial bone for two months due to brain swelling. He has since then endured chemotherapy and radiation to combat the cancer. It has been a scary time for this family, and Demetrius now suffers from seizures. His wife, Shannon, has had to leave her job to care for him, and they have fallen behind on bills. Shannon applied for Presents for Patriots, explaining that their kids had asked for nothing this Christmas because they knew the family didn’t have much money. They said that seeing their father alive each day was the greatest gift they could wish for. 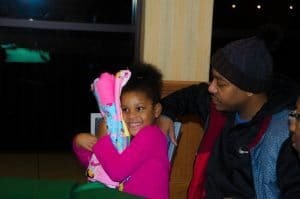 Travis was there with packages from Operation Barnabas, which included handmade quilts from a local church congregation—one for all five members of the family. Then Travis presented Demetrius and Shannon with a check and gift cards totaling $850. No one who was there will ever forget that Christmas gift.